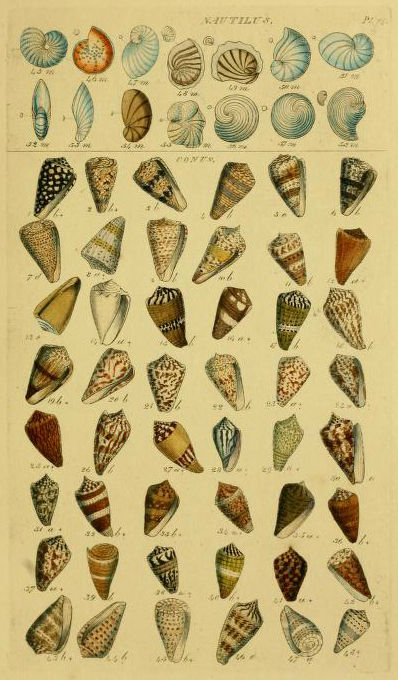 These beautiful, multi-colored shells were hand-selected from a 18th century science publication. Great for teachers, students, writers, and crafters! You are free to use and modify this image for your personal or commercial work without permission. Credit to FreeVintageIllustrations.com is required for re-sharing this image online on your website, blog, or social media.